Here’s one thing to know about me: I am often nearly always late because I have trouble with time–estimating it, calculating it, comprehending it. This is not something that has arisen as a result of the Internet or the emphasis on multitasking or being available 24/7. No, I’ve always had this problem. When I was in high school, for example, I was delinquent and written up so often that I was eventually given Saturday school. I will never forget the morning when I, a high achieving AP student , walked into that classroom full of kids who were a more hardened bunch. I am not exaggerating when I say that nearly every jaw dropped and nearly everyone asked with a mixture of surprise and derision, “What are you doing here?” Think The Breakfast Club, without the heart-wrenching drama. Some lessons are indeed learned the hard way, and sometimes not at all. Saturday school, alas, had no effect on my punctuality problem. And paradoxically, I am obsessed with time–I worry about it, wonder how much I have left at any given moment, or where it went once the day is done; from the onset of any activity, I start counting down the hours or minutes I have left of my “free time” (talk about an oxymoron! ); and I either watch the clock continuously, or am terrified to look at it. I can often be found shaking my fist and cursing Chronos. As a result of these time issues, my mind creates agendas and projects that no one could complete (unless of course one can melt clocks or possesses a time machine). And speaking of time machines, if I had one wish granted, this is the first answer that comes to mind. I would want a time machine to travel backward to nearly any century. I am not sure, however, I would travel to the future. With that knowledge at hand, it should come as no surprise that this post is late! I have a feeling that many of you experience a similar struggle; I believe it is just one of the challenges presented to those of us with highly creative minds. So if you have the time now or later, I’d love for you to stay awhile longer and read about my creative process and meet some inspiring paper artists–because this was a very long lead-in that had nothing to do with the questions I am supposed to answer!! Let us go then, you and I…we’ve got nothing but time, right? Maria over at Rieslingmama surprised me one day a couple week’s ago with an email asking if I would like to participate in the hop and be profiled in her post. I was floored! I’ve been following Maria since I started my website. I love her work, her wry humor. Bright, edgy, off-beat, experimental, and every now and then soft and sweet, are the words that come to mind when I think of Maria’s work. I profiled a card of hers back in the spring as inspiration for her birthday card, which you can see here. She does CAS so well, but her mixed media work is equally impressive. What I love most, though, is that I never really know what to expect. This is a sampling that may reflect more my taste than give a true sense of the breadth of her work, but these are some of her cards that I’ve continued to think about long after I first saw them! Pretty awesome collection, don’t you think? Check out more at her website or Flickr! As part of the blog hop, Maria asked me to answer some specific questions about my creative process, so read on to find out more about me! Well, my answer will tie into my lead-in. I have a Father’s Day card near completion (sorry dad! ); a graduation card for one of my seniors in the works (he graduated in June); I have a May wedding card being processed and laid out currently (needed to find a vintage book of poetry or a romance so I could use a page of text for a layer); I have a birthday and thank you card for a specific person in the queue; and then I have multiple quart-sized baggies full of card pieces to be completed at some point! (I typically gather papers, die cuts, stamped images, embellishments for a card or project and keep in baggies– very helpful!). Here’s a sneak peek of one project! First answer that comes to mind: language. I think more often in words, rather than pictures, so I typically consider a sentiment or idea first and build around that. I like making allusions within my work. I like symbolism and layers of meaning. I have been writing poetry and teaching creative writing and literature for decades, so my love of words spills over into this visual work. Of course the person for whom I am designing the card or piece is also pretty influential in the design. Next, I would say color, patterns, and shapes found anywhere– in the art world, nature, my paper stash–inspire me. I love laying pieces of paper (or fabric) next to others and playing with design and color. Finally, of course it’s other paper/card artists and sketches. When I am stuck design-wise, I turn to a sketch or a card by a favorite designer to help me work out an idea. Just as I have trouble with time, I also struggle with measurement and dimensions, so having a sketch or pattern really helps me with proportion and layout. Is there a method to the madness? I’ve answered these questions completely out of order, so that might give you a sense of how I approach my work! I am guided more by feeling than anything else, which can work out if I am focused and not forcing something. However, I have learned that having some kind of plan, slowing down to process the piece, and practicing my ideas on scrap can really save me time and materials. Follow the three P’s! Many people have commented on my detail work. And as Maria noted in her post, I really do labor over the details. I know when something doesn’t feel right, and if I can keep my impatience at bay, let the piece get cold (as I tell my writing students) and then come back to it with fresh eyes, then it’s a much better process. I sometimes work well under pressure, but most of the time I don’t. And since this creative work is supposed to be fun, and at times therapeutic, working under pressure typically backfires. So it can take me hours to days to complete a piece! I’ve elaborated on this a bit in the next question! I am not sure I have one yet. Most of my work is fairly layered (see what I said above about layers and language! ), sometimes literary, sometimes trendy, and more about mixing papers, patterns, colors, embellishments, and clustering, than stamping at the moment. However, I have quite a few ideas brewing for stamp-focused pieces, as well as tiny works. I love tiny things (like Rosie’s Roadshow). And I do love cute– like Lawn Fawn, Purple Onion, Savvy, and Catslife Press cute! Aesthetically, in all areas of design, including music and poetry, I lean toward the minimal, the clean, the graphic; I gravitate to bold color or design statements against crisp white, as well as a soft or dreamy palette. I love a lot of open space in music, visual art and poetry that allows me to savor a note, an image/color, or a word/line. I don’t like clutter or too much visual or auditory noise, or any design that feels dark or suffocating. I don’t like messy, globular, metallic, lots of lace, ribbon, sugar, or spice. I am really particular about fonts, and sentiments. I do like aspects of shabby chic and vintage– with a mix of edge and trendiness. Think of the décor or clothing designs of Anthropologie. I really like the unexpected turn, the element of surprise in any art form. And if I contradict myself design-wise, very well then, I contradict myself (to quote Walt Whitman)! What I create in writing or visual art doesn’t necessarily embody what pleases me aesthetically! If you couldn’t tell, I like words, and can be long-winded! Some of what I’ve made card-wise doesn’t reflect my idealized style or intention, and some of it I don’t really like at all. But that’s part of the learning process. 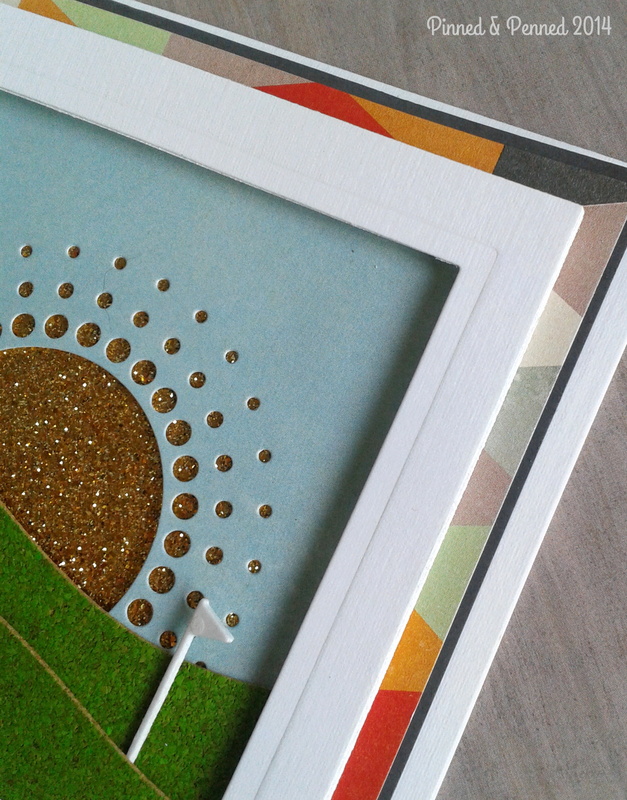 I still find myself to be very controlled in what I do in my card/paper crafting, which isn’t necessarily a good thing; I am always working within the tension that exists between chaos and control. I am also still learning about design theory. I work pretty intuitively, but it can take a long time to complete something if I don’t really understand why a design isn’t working. It’s hard to make corrections when you don’t understand or cannot name what is wrong. It’s easy for me to spot and fix grammatical errors because I comprehend the inner workings of language. It’s not the same with art. As I become more comfortable with my visual voice, I think I will surrender some of that control to the process. I have this tendency toward perfection which can stymie the work. The best feeling whether I am working with words or images is that of flow. It will be interesting to read these words after some time has passed and I have practiced more and more! It takes time to refine your work. I can be impatient and impulsive, but I like this process of learning and discovery, and am not in any hurry. So I am excited to witness my work evolving. And I am proud of these pieces. I still like looking at them, and some are from the very beginning of my paper crafting journey! Only 3? Well, as others have noted, there really are so many tools that are vital. However, I would say my top three are my score board, my magnetic base to hold dies in place for the Big Shot (not sure how I worked so long without one, since I do so much die cutting), and… (as she looks around at her materials) quart-sized baggies/Office Depot 5×7 and 5×6 Poly-Pockets in which I store my card pieces and clear stamp sets (I have to give Amy Tsuruta and Katie Brooks a shout out for the Office Depot recommendation). These pockets are pretty phenomenal! Runners-up: my Iris plastic Photo Storage boxes and Card Keeper for other clear stamps and dies; my IKEA magnetic wall strip for holding dies while I am using them; my Scotch Restickable Mini Tabs for playing with the layout of items on a card; and my Tonic Guillotine 12″ paper cutter! Part 3: INSPIRING PAPER CRAFTERS! Keren was one of the first paper crafters I met online and she has been such a supportive presence and online friend! I have learned so much from her, and always look forward to her musings about life and creativity. She has me laughing aloud whenever she shares a bit about some comedy of errors in her family or creative life! She recently blew me away, and I mean really blew me away, with her entries to the 2014 Gallery Idol! She was the winner in my book. She does tall, skinny cards like no other, and her colorful critter cards are always perfectly executed. 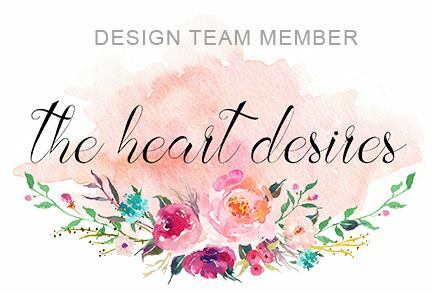 Innovative designs, perfect pops of color, awesome lines and white space– there’s a reason why she is on numerous design teams and has had her cards continually published! Here’s a small sampling of her work I keep coming back to! Therese is also someone whom I have been following for quite some time, and who has been an online friend, ever complimentary and supportive. I can say this about her with certainty– I don’t think she has ever made a bad card. Seriously. Now I am sure way back in the recesses of her site there lingers a few, but I’ve not dug deep enough to find one!! She is published, on design teams like Purple Onion and Mama Elephant, and the author of many an instructive video– all of which speak to her immense talent. It was very difficult to choose a few cards to represent her, but these six really speak to me for a variety of reasons! And last, but certainly not least, Rebecca Luminarias of Thurston Post! Rebecca and I hail from the same neck of the woods, upstate New York in the Finger Lakes region. We are now both West Coast girls who, I’ve come to learn over the last few months of our correspondence, share a lot in common–card and crafty design of course, music, and a hankering for autumnal days in New York to name a few things. I have profiled Rebecca’s work a few times on my website. She has been incredibly inspirational; I love reading her posts– she has a gentle, thoughtful way with words that weave you in, just as her photographs and lovely work do. She is a Crate Paper gal extraordinaire who creates not only cards, but also packaging, and home décor pieces. Trendy, layered, shimmering, crisp, eye-popping designs–her work is a feast! She also has an Etsy store where she sells her cards, paper goods, and card-making kits that she handcrafts. You can also find her on the Festive Friday design team, one to definitely check out! Alright, you made it to the end! Thank you for stopping by and sticking with me! Please do check out these ladies on October 6th for their special posts, and make sure to head over to Maria’s site as well. A big thanks to her for asking me to participate, and thanks to all the ladies here for their never-ending inspiration! I hope you, dear reader, leave inspired and come back for more very soon! < Coffee Lovers Blog Hop! This is a great glimpse at your inner workings my dear!!!! I adore your layered art so much!!! Your eclectic eye is so superb at finding just the perfect mix of items, truly gallery worthy!!! One of my faves is your FUSION entry with the stag, so different that once I saw it I could never forget it!!! Never embrace the mainstream, sticking to your wonderful sensibilities and style is so wholesome and refreshing, I just love your creativity !!!! Adore reading more about you and hope your day is filled with the possibilities of creative wonder!!! Your comments about time are written so eloquently. I can identify some, maybe not to the same degree but I too make lists and schedules that no person could possibly complete. Feeling that right this moment in fact. But I wanted to stop and read a little and thank you for sharing this about yourself and this interesting hop. I love your cards too! I can be very literal in my creativity while you are so fluid with yours. Simply amazing. “… and scream and shout and let it all out…” I wanna hear that “visual voice”. Your sense of design works magnificently. No need to get all technical about it, girl. Wonderful post. And wonderful new (and cheeky) coffee project too. Again, I’m so incredibly humbled by what you’ve written about me, Kate. And I found myself identifying with so many aspects of YOU in this post that I started an email just to let you know all of these other things we have in common! (We shall see just how long it is before I actually finish it…) I am so glad that you reached out a few months ago and left a comment on my blog directing me to yours. I have become a big fan of your incredible work and a bigger fan of you as a person. Thank you for sharing this with us! What a wonderful post Kate! You really have a way with words and your creations do truly reflect that, I’m so glad that I had the opportunity to get to know you better (and didn’t have to wait too long for the privilege). I too am humbled by your kind words and am looking forward to reading more about Keren and Rebecca very soon. Thank you yet again, it’s going to be so much fun continuing on our crafty journey, I can’t wait to see where it leads us! Hi Kate! I came via maria f’s blog and was looking forward to reading your getting-to-know-you post. I can absolutely say I am not disappointed. What an entertaining post .. from your words, to all the eye candy of favorite cards, and to all the things I identify with (especially on getting distracted even if, or probably especially if, there are other things/projects I need to do. I call it the “shiny object syndrome” since I’m always so easily distracted). Really in love with your layering and clustering of elements, like the card you just posted (I think, I’ve been on your blog for awhile now!) Wonderful post!